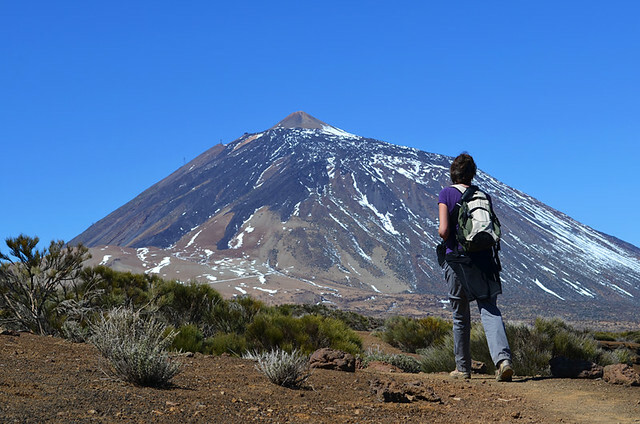 We’ve written a lot about winter walking on Tenerife and on the other Canary Islands. And we’ve written a lot about the weather on the islands. Both are such perennially popular subjects that questions are asked about them time and time again. Regular questions and/or comments show the winter walking weather mine hasn’t been exhausted quite yet. 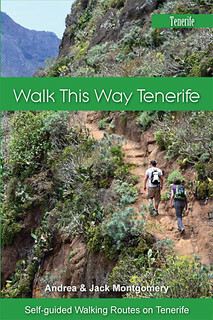 This time my pondering was prompted by an online comment about walking on La Gomera in January. 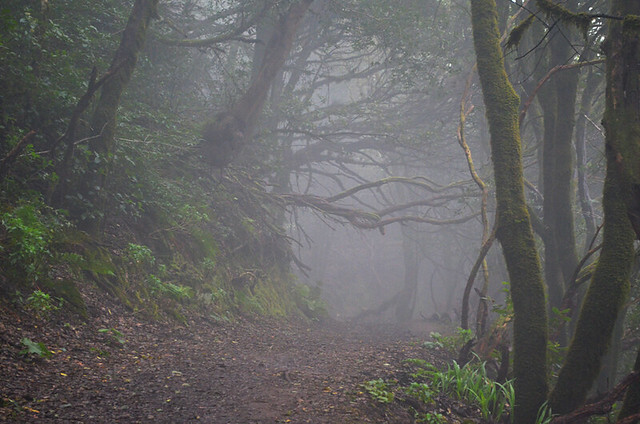 It was from a walker who’d experienced a lot of cloud and seriously strong winds. It was obvious from the tone of the whole comment the person who wrote it felt cheated, lied to even. They also did something which is becoming more and more common. They made the mistake of treating their limited experience as definitive. 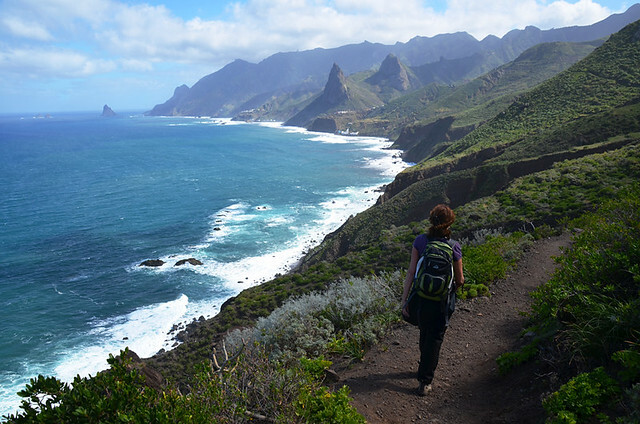 It’s not the first time, nor will it be the last, I’ve seen feedback from people who have felt the weather, when it comes to winter walking in the Canary Islands, has been misrepresented. 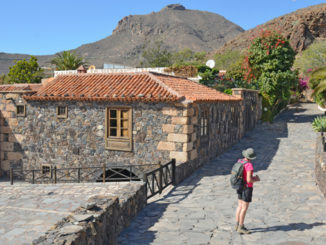 Let’s take a look at how winter walking in the Canary Islands is ‘sold’ by UK based travel companies who specialise in walking holidays. It’s a statement we’d agree with 100%. The temperatures are good all year-round, but it’s a statement which might raise false expectations. It’s not wrong, but it could be misconstrued. Again, we’d go along with that. 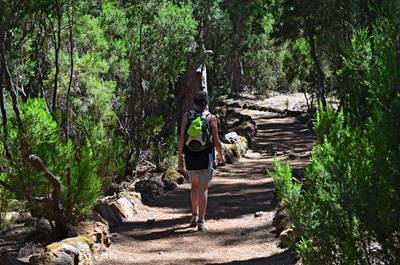 You do feel as though you’ve escaped the winter in the Canary Islands. Most of which I’d agree with. This is another which may raise expectation higher than the reality. 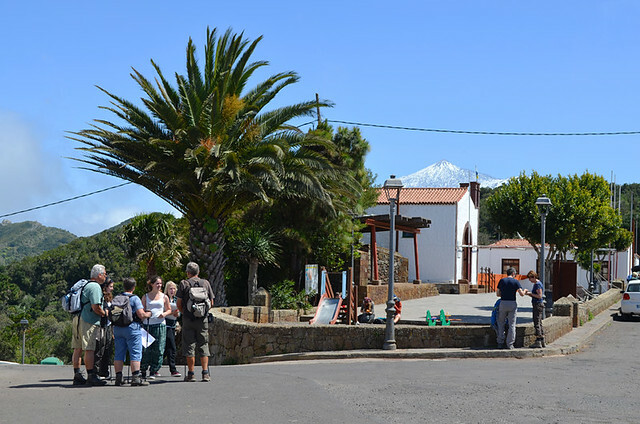 So why the contrasting opinion between someone on their first visit and people who have spent more than a decade winter walking on all the Canary Islands? 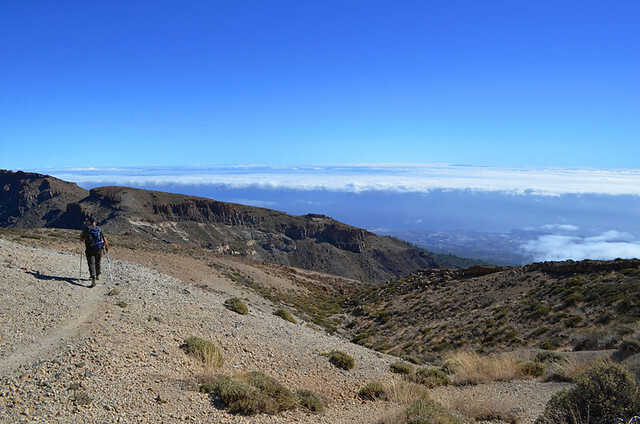 It’s down to that old chestnut, actually understanding weather patterns in the Canary Islands. 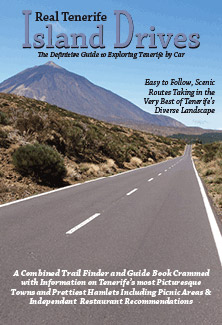 It’s not holiday company spin to state the Canary Islands experience good weather all year round. They do. There is a winter, but it’s not winter as northern Europeans know it. This year I’ve discovered first (chilly) hand neither is it winter even as southern Europeans know it. 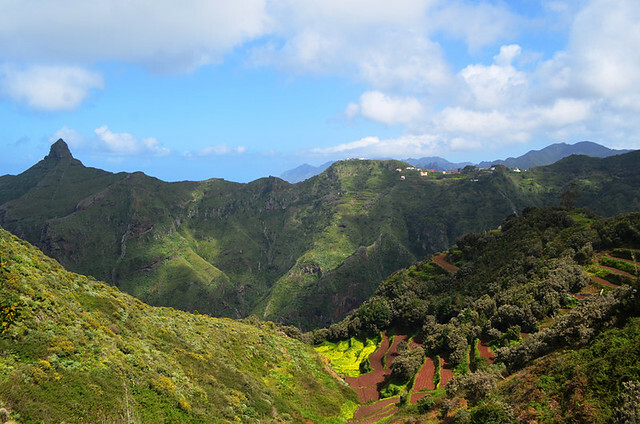 You can sunbathe in warm, sunny weather in the Canary Islands any month of the year. That doesn’t mean there’s cloudless, blue skies all day every day – not in winter, not in summer. 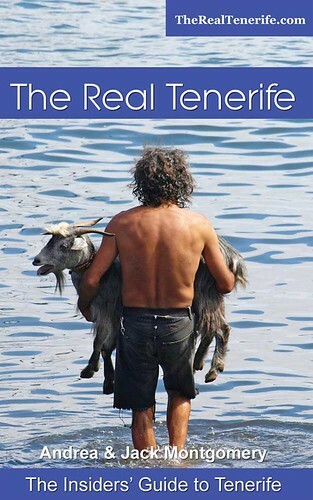 As Inntravel put it, the weather is benevolent throughout the year. On the coast when cloud rolls in it just means sometimes it can be less warm than usual. But, as many folk will already know, the higher the altitude, the cooler the temperatures get, especially in winter. 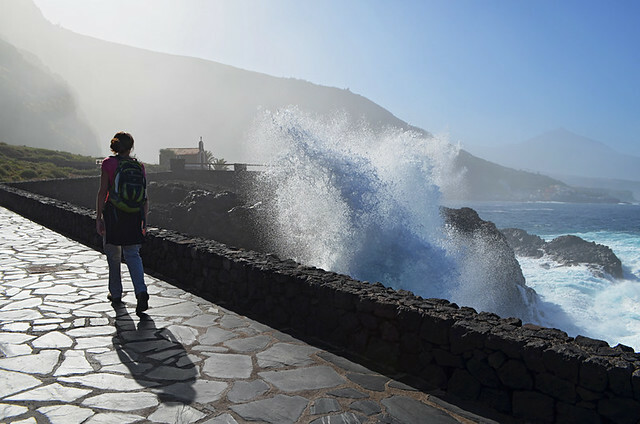 Tenerife and the western Canary Islands rise from sea level to great heights in spectacular fashion. It’s a factor which makes them so visually dramatic. It also means temperatures drop rapidly as you travel inland. However, that ‘drop’ is still relatively speaking. As I write this (20 January), the predicted shade temperature at the coast is around 22C. At 600m it’s not much different (but it can be). At 1300m it’s 17C (for January that’s positively balmy). At 1800m it’s 9C, and at 3718m it’s 0C, although with the wind chill it will feel more like -6C. It’s also predicted to be mainly sunny. All in all, perfect winter walking conditions at most altitudes. 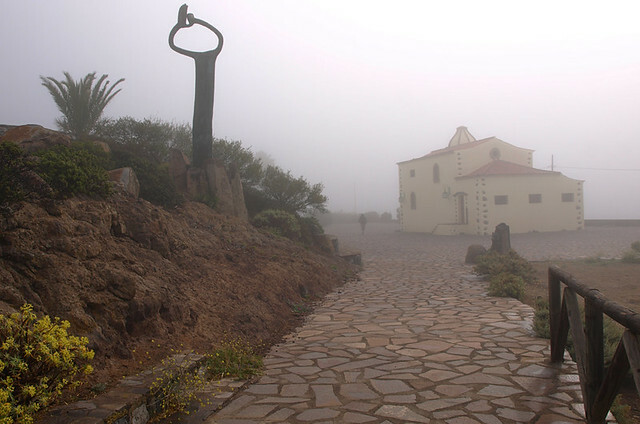 Anyone who has walked at 1800m on Tenerife will know it often feels warmer as most of the time you’re walking above the cloud. That sun beating down on you makes it feel an awful lot warmer than official readings show. But the weather is the weather. There are glitches. At altitude bruma (damp low cloud) can roll in, around the 800 to 1000m mark can be like a magnet, and when it does it can chill to the bone. Winter weather fronts in the Atlantic can occasionally bring strong winds and also rain, both of which are usually more intense at altitude. Mostly though, winter conditions are perfect for walking, generally better than spring ones in many mainland European destinations where we’ve walked. Nobody’s lying or trying to mislead to rake in more of the filthy lucre. 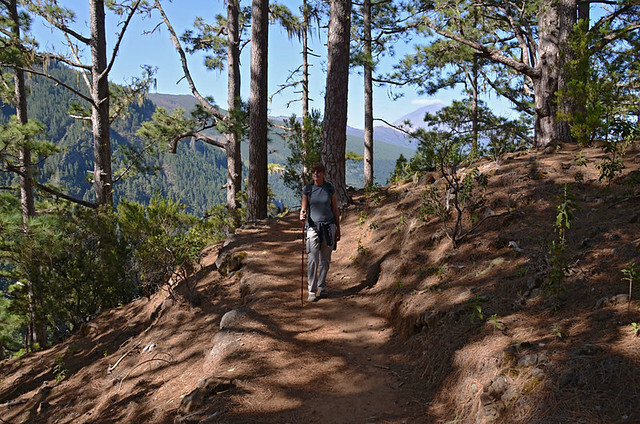 The Canary Islands are an exceptional winter walking destination. The bottom line is sometimes visitors can be just unlucky when it comes to the weather.